Peter Stein (Fantasy Baseball Analyst – MLB reports): The catching position is one that is often the most mismanaged by fantasy owners. A very thin position, it is difficult to find value from catchers in the deeper leagues. 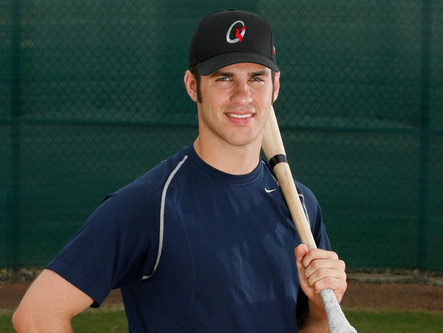 Furthermore, you take a big risk dedicating a high pick or significant auction money at a very injury prone position, as 2011 owners Joe Mauer and Buster Posey owners know all too well. Even a healthy catcher will sit for a significant amount of games each year due to the wear and tear of the position. For these reasons, I generally advise to not overpay for a player at this position. But with that said, for the right price, the top batch of catchers can provide you significant value. However, too many times before we have seen significant year yo year decline from players at this position. You simply should not rely on production at this position. Spend your bucks elsewhere. Based on matchups and playing time, it is possible to scrap together value for next to nothing. For example, Chris Iannetta and his .238 average, 51 runs, 14 HR, and 55 RBI, disappointed many fantasy owners in 2011. But a closer look at the numbers shows the true value he provides. We all know the effect that Coors Field has on hitters, but for Iannetta it is staggering. 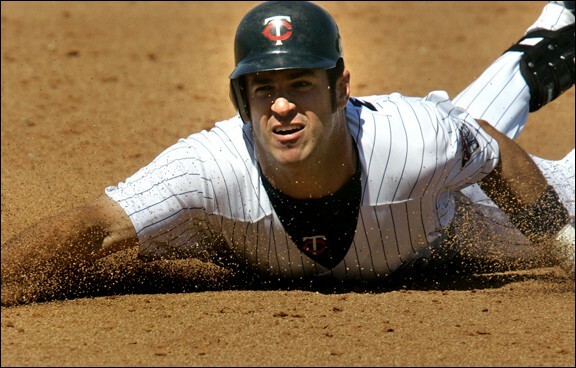 His 2011 home numbers look like this: .301 batting average, 10 HR, 39 RBI and 3 SB. If you were to only start Iannetta at home in 2011, you would great numbers all across the board for half of the season. You are essentially getting 50% of Brian McCann for way less than 50% of the price. The discrepancy in his splits is dramatic that it makes him so easy to use as an owner. Only start him at home and never think about starting him on the road! .260-.270, 20 HR, 70 RBI, 6 SB. These numbers are essentially right on par with Brian McCann’s 2011 line (.270, 24HR, 71RBI, 3SB). McCann is a consensus top five catcher, while Iannetta and Olivo are viewed outside of the top-15. You are essentially creating McCann for a lot cheaper and inherent risk that comes with investing money in the catching position. Furthermore, there are more options out there if you think Olivo’s average is too much of a killer. It all depends on your team’s needs and what categories you are chasing. If you are more concerned about average, guys like Nick Hundley and Jonathan Lucroy might be more attractive options. Looking for power and RBI production? Names such as J.P. Arencibia, Russell Martin, Geovany Soto, Kurt Suzuki (there are even more) are all useful under the right circumstances. For example, look at Geovany Soto’s numbers against left-handed pitching in 2011: .296 average, 7 HR and 15 RBI in just 98 at-bats. This is in stark contrast to his .207 average and 10 home runs in 323 at-bats against right-handed pitching. The point is that it’s easy to piece together production at this position. There are several players who contribute in the HR and RBI categories and you can get the most out of them by maximizing their strengths based on matchups and ballparks. MLB reports: As an unbelievable as it may seem, there has been talk in baseball circles that the Rockies are taking calls on their ace pitcher, Ubaldo Jimenez. Start after start, game after game last year, Jimenez for the majority of 2010 was as unhittable as they come. Despite coming back down to earth in the 2nd half, Jimenez last year appeared in his first All-Star game and finished 3rd in the NL CY Young voting. 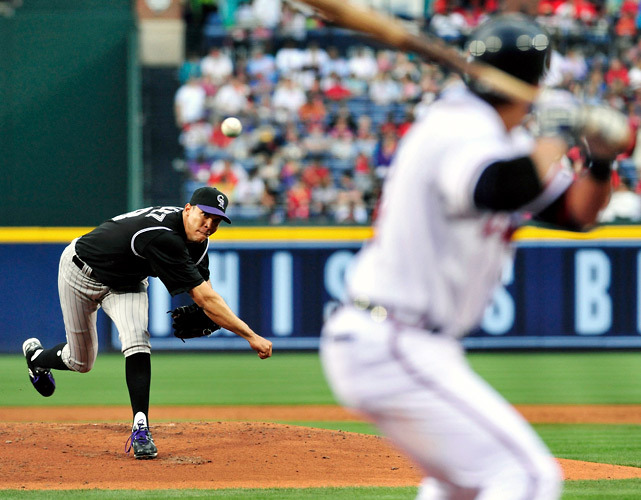 He also pitched the very first no-hitter in Rockies history on April 17, 2010. With a young Rockies team that was expected to contend in 2011, the 27-year old Dominican Jimenez was expected to anchor the team. Now sitting with a 45-49 record, 8.5 games out of 1st in the NL West, the Rockies are on the fence as to whether they still have playoff aspirations this year. Further, the team’s brass needs to decide whether Jimenez is a part of those aspirations and future playoff runs. 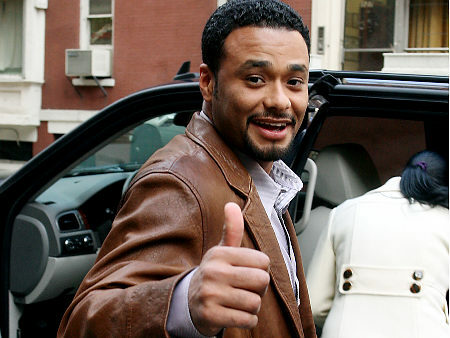 Media outlets have speculated that the Yankees are quietly making a run at Jimenez. There is a strong probability the trade could happen, but in my estimation, the Rockies would be making a colossal error if they do. With pitching at such a shortage, many baseball analysts are scratching their heads as to how the Rockies could possibly think about trading Jimenez. The San Francisco Giants proved last year that the World Series could be won almost exclusively on the strength of pitching. Tim Lincecum. Matt Cain. Madison Bumgarner. Jonathan Sanchez. The Giants had so many weapons to throw against its opponents every night and good young pitching at the end of day beats good hitting much of the time. The Rockies, ravaged by injuries and inconsistent performances, are unlikely to reach the postseason this year. But in the management of the team, the present and future must be considered. Look at Felix Hernandez on Seattle, Roy Halladay on the Phillies and Lincecum on the Giants. Every team that is trying to build a winner needs a stud pitcher at the top of its rotation. Jimenez is that guy for the Rockies and losing him on the roster will be a hole that will be difficult, to impossible to fill. So given the positives that Jimenez brings to the table, the issue remains how and why the Rockies could possibly consider moving him. There are a couple of main reasons in my estimation. Part of the equation is the performance of Jimenez this season. While he has been good, Jimenez for the most part has not been great. His record this year is far off from his most recent seasons, despite a strong rebound in his last few starts. Given his inconsistencies in 2011, the Rockies may be getting a little worried and looking to sell high before Jimenez starts to decline and/or injured. But given his strong resume to date, young age and rebound recently, I would like to think the Rockies are more intelligent than that. Players have their ups and downs, at all levels. It happens. Without a larger body of work for reference, it is almost impossible to reason that Jimenez is on his way down. His recent numbers tend to show otherwise. So while Jimenez may not be the same pitcher that we saw in early 2010, he is still the ace of the team. So why the reports of trade talk with the Yankees? I will give you two words. Cliff Lee. The same Cliff Lee that was all set to be traded last year from the Mariners to the Yankees in a package including Jesus Montero. The deal was completed to the level that major media outlets were announcing the trade as fact. As the story goes on that one, the Mariners played the Yankees against the Rangers and took a package from Texas built around prospect Justin Smoak at the very last-minute. The Yankees were fuming to the level that they contacted the higher-ups in Seattle to complain about the conduct of their GM, Jack Zduriencik. The fallout was the Rangers making it to the World Series and the Yankees left at the altar without their prize. 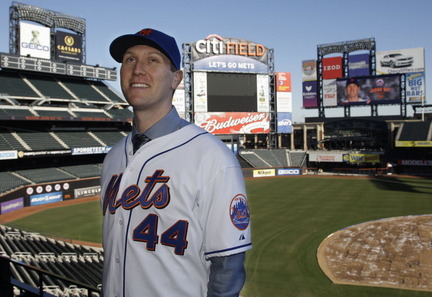 As a further dagger, Lee in his decision to sign with the Rangers or Yankees this past offseason, ended up going to the Phillies at the last-minute. Again, the mystery team coming at the last second out of the woods and the Yankees were left standing with egg on their face. 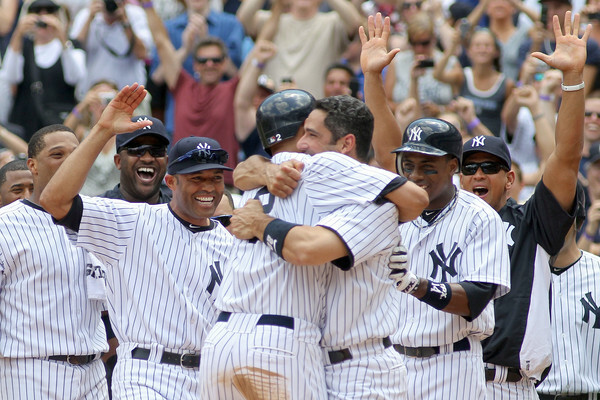 Do not underestimate the New York Yankees. They are the strongest and one of the proudest teams in baseball. The Yankees and their fans do not like to be left disappointed in the constant search for top talent. With Bartolo Colon and Freddy Garcia sitting in their rotation, the Yankees are clearly itching to make a move to bolster their rotation. While names like Jeremy Guthrie, Derek Lowe and Bronson Arroyo being thrown around, it starts to shed some light as to where the Jimenez talk is coming from. This is the Yankees and they do not like shopping at the Ford dealership. This is a team built on Mercedes and BMW’s. The problem is that the top cars, i.e. ace pitchers, are not readily available. After making runs at Felix Hernandez and Francisco Liriano, the Yankees are still in search of a strong #2 to compliment ace CC Sabathia. Considering that Sabathia can opt out of his contract during the coming offseason and possibly leave New York, the pressure is even greater to land a top starting pitcher. From all the names that have been tossed around, the one that makes the most sense is Ubaldo Jimenez. When Jimenez is on his game, he is as Cliff Lee-like as you can get. Jimenez is a horse that has the potential to pitch a complete game shutout almost every game out. This is the type of numbers that the Yankees are looking for. Rather than waiting to what comes in free agency, the Yankees are trying to hedge their bets and make a run now. Any package for Jimenez will be built around uber-prospect Jesus Montero. Considering his strong bat, Montero could move from catcher to first base to replace the aging Todd Helton. The Rockies still have faith in their own young catcher, Chris Iannetta, who has taken longer to develop than expected. Montero would be great insurance and an almost guaranteed monster bat, in addition to the other prospects that would be headed to Colorado. A win-win for both teams if it happens, considering the bodies that would be moving as part of the trade. But still not quite if you consider the value of Jimenez to the Rockies. Other teams will sniffing around Jimenez as well. The Red Sox, Indians, Tigers, Angels and Rangers could all be considered in the mix. Jimenez would not come cheap and if the Rockies are smart, they will auction him off to the highest bidder. At the end of the day, this is a trade that the Yankees have to make. With little to no other options on the market, the Yankees have to overpay for Jimenez or risk failing to win a World Series despite the highest payroll in business. The Yankees lost out twice on Cliff Lee and need to do everything in their power to land an equivalent pitcher to their fold. While Ricky Romero or Jered Weaver would be nice acquisitions, realistically neither one will be made available by their respective teams. With Carlos Zambrano overpriced and inconsistent and Johan Santana a question mark for the season, at this point it is Jimenez or bust for the Yankees. In considering this trade from a Rockies perspective, think how long the organization suffered from a pitching perspective. Despite always having strong hitting, the Rockies as an organization have been challenged to develop and maintain reliable pitching. Now that the Rockies have an ace in place, the team should be focusing on building around Jimenez rather than moving him. If the Rockies build their core of hitters and fail to have a deep and consistent starting rotation, the team will mean little come playoff time. 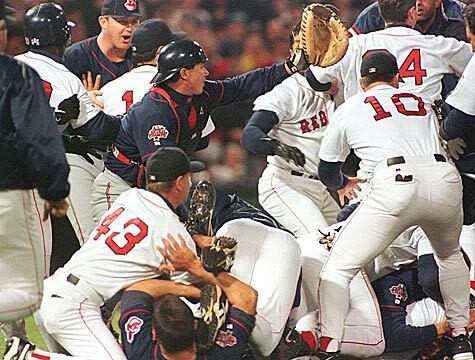 The team will simply fall back into old habits and fail to adapt to the new Major League Baseball. With the steroid era past us, baseball is built around pitching and defense now for the most part. 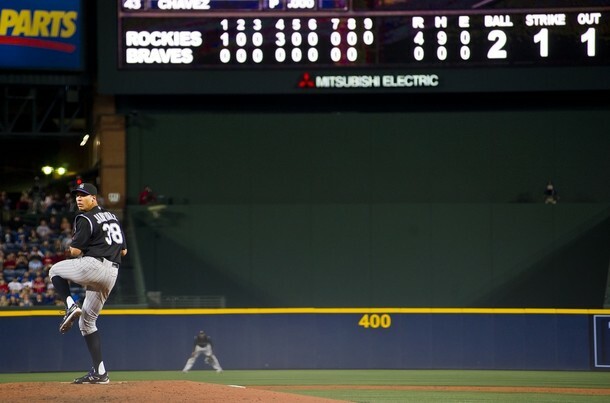 The Rockies, like every other team, needs good young pitching to contend. Jimenez has the potential to give them a high level of pitching for at least the next five years. If the Rockies feel they have a chance to contend during that time, they must hold onto him or risk setting themselves back even further. Knowing that this is a trade that Yankees must make and the Rockies should pass on, the final question is whether this trade will happen. My heart says no, but my brain says yes. Despite all the reasons that the Rockies should hold onto Jimenez, it appears in my estimation that the Yankees will make an offer that Colorado cannot refuse. In fighting for World Series titles in New York, all necessary resources have to be acquired at any cost. Considering that the Yankees will include Montero and 2-3 more top prospects, the Rockies will have a hard time saying no. Perhaps the Yankees will include a couple of top pitching prospects in the package that will allow for a smoother transition for Colorado. But the reality is, that while prospects are intriguing and desirable, they are far from a sure thing. For every Derek Jeter that is drafted, developed and becomes a future Hall of Fame player, there are 1000’s of Todd Van Poppel clones that come highly touted and burn out just as quick. Ubaldo Jimenez has the experience and numbers that are proven. While I am always skeptical of pitching, based on injury risk (see Stephen Strasburg), the potential risk in this case by keeping Jimenez is worth the reward of the potential for future playoffs. This will be the one case where I advocate that a team hold onto their starting pitcher rather than cash in for prospects. But it is also the case where there is extreme speculation and rumors and I foresee the trade occurring. The Yankees are the Yankees for a reason. They usually get what they want. They want Ubaldo Jimenez and before July is done, he very well could be in pinstripes. MLB reports: My crystal ball in March said that the Rays would win the AL East, with the Red Sox finishing second in the division and taking the AL Wild Card. I have no reason to deviate from my prediction thus far. Despite the strength of the Yankees, the Red Sox have so much talent that several hot streaks are in store. When playoff tickets go on sale, go ahead and order for the opening round at least. MLB reports: I take it that your league counts average, based on your e-mail. Turning 40 this summer, Posada has definitely seen better days. He does have 6 home runs and 14 RBIs, but his numbers overall are fantasy suicide. I can’t believe Iannetta and Doumit are still available in your league. If so, grab them in that order. Iannetta is 28, plays in Colorado, has 5 home runs, 13 RBIs, .398 OBP, .494 SLG. His .250 AVG is nothing to write home about, but as the #1 catcher for the Rockies, Iannetta has the biggest upside. Doumit will be traded to a contender at some point likely but while he has shown a steady bat this season, he is always an injury risk. 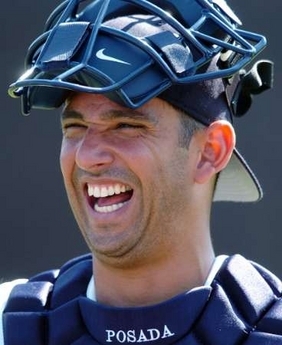 If Iannetta is not available though, I like Doumit over Posada. Ramos has been a nice player for the Nationals but is still young and likely won’t play at this level all season. 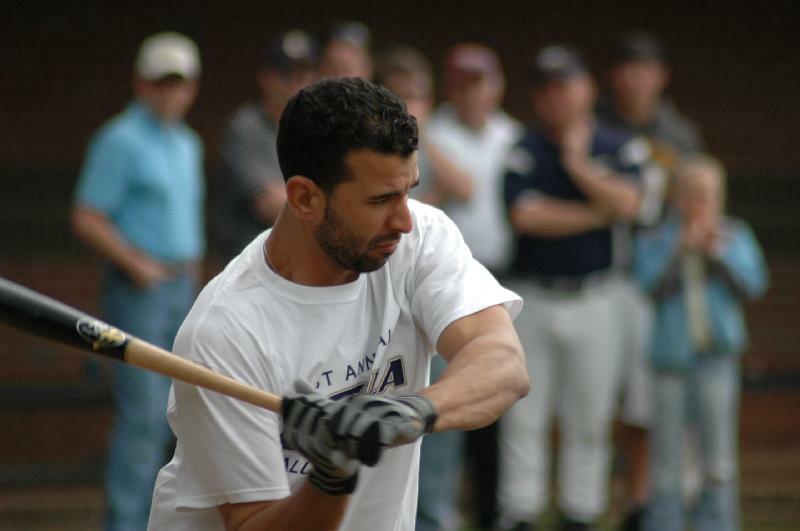 I would trust Posada over him. Hanigan and Conger are nice replacement bats for injury but as part-time players offer little upside at this point. If either was starting, they would still rank below Posada this season for me. MLB reports: It is not that simple Garrett, as Bautista has become such a dangerous hitter that there are not many pitches that he does not get to. Judging by his 100 walks last year, which will be higher this year, Bautista has a great eye at the plate. Based on the damage that he can do, I frankly don’t understand why teams just don’t walk him 4-5 times every game. Being the strongest offensive option currently in the Jays lineup by a country-mile, Bautista is a long-ball threat every at-bat and taking the bat out of his hands likely will be best at minimizing the damage. With not many healthy hitters in the Jays lineup that are threats to drive him in, I agree that opposing pitchers should not give Bautista much to hit…and in my opinion, not even give him the option at all. MLB reports: This one is a toughy. I wanted to say Bay and McCarthy to keep, but I can’t do it. My factors are as follows. McCarthy is 27 and has great upside. But he is injury prone and cannot be counted on to stay healthy. He can literally drop at a moment’s notice. Plus he is 1-3, despite a 3.26 ERA and 1.25 WHIP. With little wins potential and health concerns, this trade really boils down to Bay for Ramirez and Soriano for me. Bay has been a disaster since coming to the Mets. Poor production and concussions issues have done him in. With 6 home runs last year and 1 home run this year with a .213 AVG, 7/19 BB/K ratio, Bay is regretting his decision to leave Boston for New York. Bay is already 32 and his window of opportunity is closing. Ramirez and Soriano are no spring chickens either. Ramirez though has a .286 AVG with 14 RBIs, despite only 1 home run and .718 OPS. Soriano has a league leading 11 home runs, 21 RBIs and 18 Runs, with a whopping .550 SLG despite an unsightly .242 AVG and .270 OBP. If you can stomach some of the warts shown by the 35-year-old Soriano and 32-year-old Ramirez, they will still provide much of the stats and comfort that Bay and McCarthy won’t. In some ways this is a headache for headache trade, but by making the deal, you are getting the likely higher returns. Go for it.